Deer Valley is one of the 2 Park City resorts, consistently ranked in the top 5 in the annual Ski Magazine readers survey. 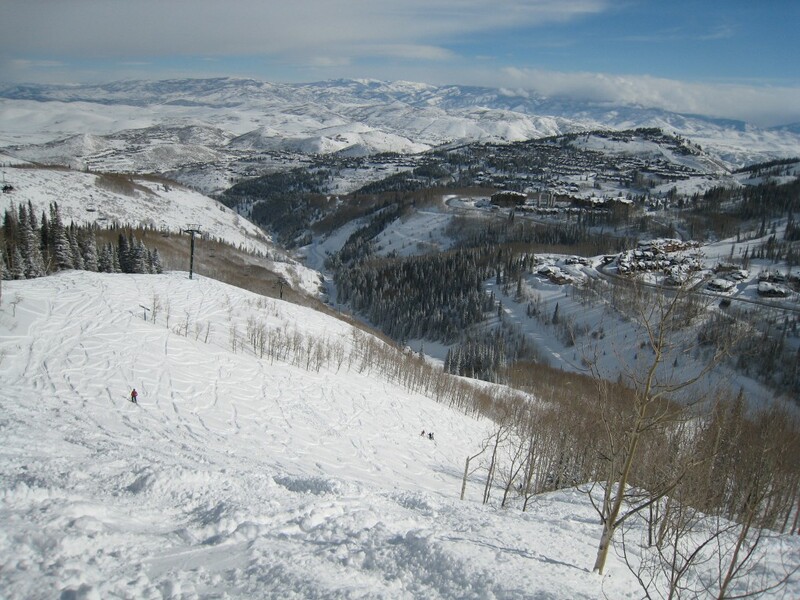 Deer Valley is well-known as a place that pampers skiers (and ONLY skiers since snowboarders are not allowed) with huge amounts of groomed terrain and great restaurants and lodges. 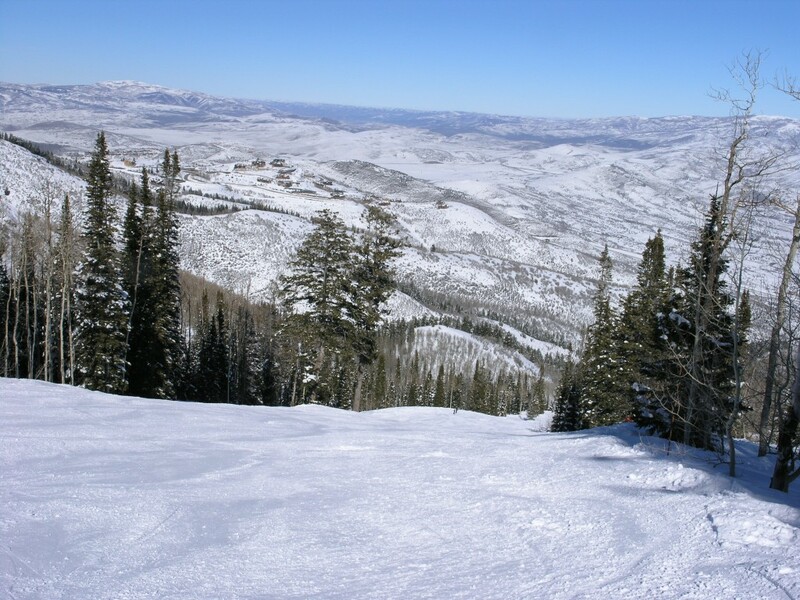 If there is a sweet spot for ski resort statistics, it has to be what Deer Valley has with 3,000 acres, 3,000 vertical feet, 300 inches of snowfall, and 100 runs. 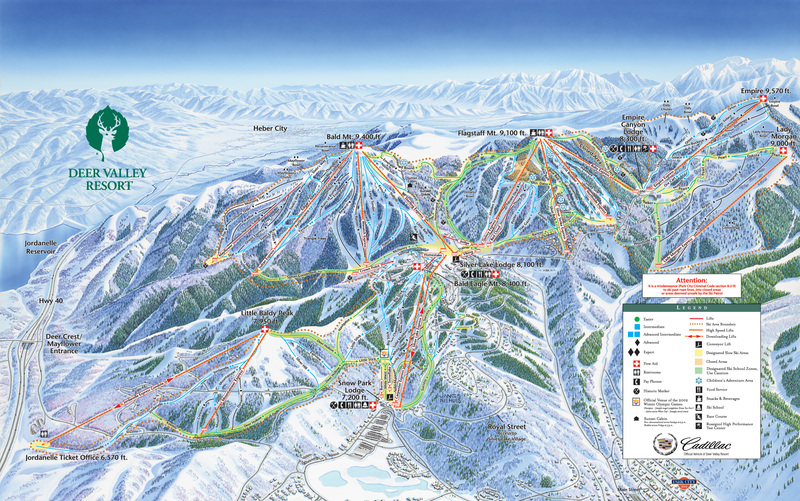 Most of the major lifts are of the high-speed variety (11), and there is a lot of snowmaking (660 acres). 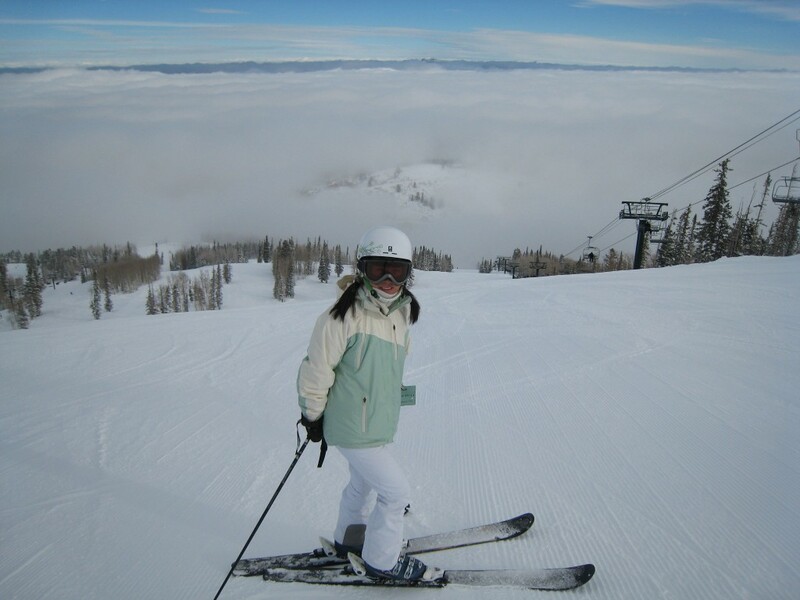 It’s a reliable place to plan a ski vacation in advance if you are looking for the kind of skiing that Deer Valley has. If you like high-speed carving, this is the place to go. The runs are groomed to perfection and have a consistent pitch. The Utah snow provides a great surface for the machines to prepare for your carving pleasure. Unfortunately this attracts a lot of people that love to use up the WHOLE run making huge arcing turns, oblivious to how that affects other skiers. As much fun as we’ve had at Deer Valley, this is the thing that often makes us choose another of the nearby resorts when we are in Park City. I actually think this situation would improve if snowboarders were allowed in because the skiers would perhaps ski a little more defensively on the fall line. Get there early for the best groomed conditions and fewer people. Deer Valley isn’t so spread out that you can’t take a couple of runs on each ski pod in one day. We usually head right over to Empire and Lady Morgan in the morning. Lady Morgan was added only a few years ago and is a great addition to the resort providing some much-needed advanced terrain. Next we ski Flagstaff Mountain where the runs are a bit shorter and are mostly intermediate. Between Empire and Flagstaff, the Daly chutes are the only truly steep terrain on the mountain. We rarely ski it because it doesn’t actually have much vertical and it develops a significant cornice at the top which can be a bit spooky. We usually look forward to lunch because it is some of the best food available at any ski resort we have been to, and it’s not exceptionally expensive given what you get. The lodges are very nice and well maintained, but they have always been crowded at lunch when we are there — especially if it’s snowing. Go early or late for a guaranteed seat. There is wait service dining in the Silver Creek lodge that we have used a couple of times which is a great option when it’s busy. It’s not that much different in price than the cafeteria dining and it’s much easier to get a seat. After lunch we usually ski Bald Mountain and Jordanelle. 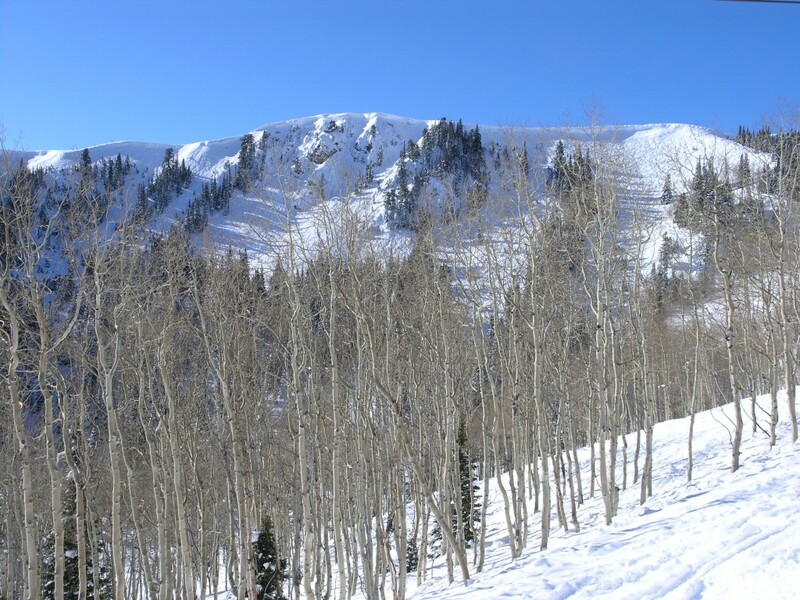 Bald Mountain is the main attraction at Deer Valley with significant vertical drops and steeper terrain, with a few black groomed runs. Stein’s Way is probably our favorite run. The Sultan Express is a great chair to lap with 1,776 feet of vertical drop and steeper groomers. Note that Bald Mountain is well-named and the top can be very windy and a white-out on a storm day. Oddly enough, Jordanelle is one of our favorite ski pods when it’s cold and the snow is good. It is served by a gondola with 1,318 feet of vertical drop, great grooming, and very few people. You also get to ski right past some of the most impressive slope-side ski mansions in North America. As great as Deer Valley is, for whatever reason we rank it at the bottom of our Wasatch resort rankings. It’s hard to say why exactly, but it has something to do with the lack of diverse terrain and the way people ski it. Groomers are great fun, but there isn’t much else that isn’t super bumped-out. 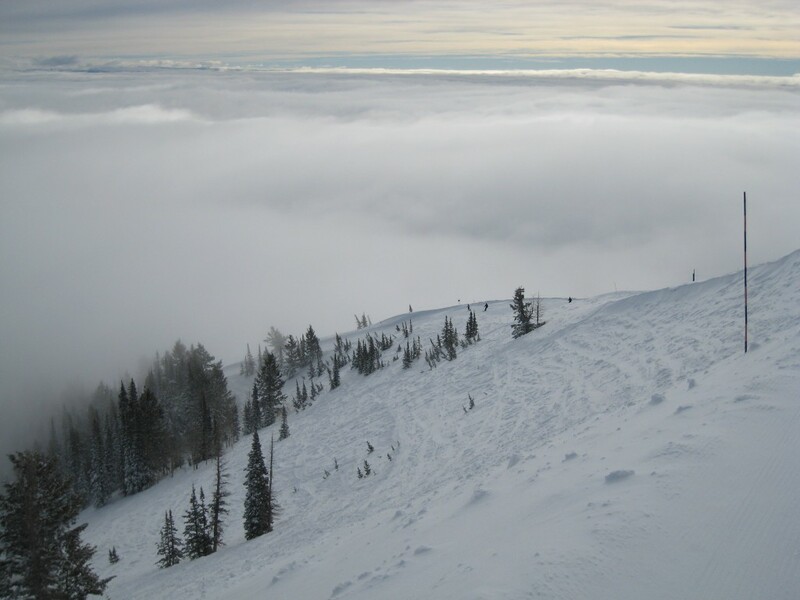 When you compare it to Park City and The Canyons, Park City has Jupiter bowl and The Canyons has 9990. Those high-alpine zones lend character that is lacking at Deer Valley. Deer Valley skiers always point to the Daly Chutes area when this comment is made, but that is difficult to get to and get into unless you are very determined. And although there is 3,000′ of vertical between the high and low points, there is no way to ski more than 1910′ of it in one run, so you can’t have those long rambling runs top to bottom that other resorts can offer. There are also homes alongside many of the runs, which makes it feel a bit like you are on a golf course in winter at times rather than a pristine alpine environment. Almost everyone is on shaped front-side carving skis, and many of those people carve across as much run as they feel like without concern for others. 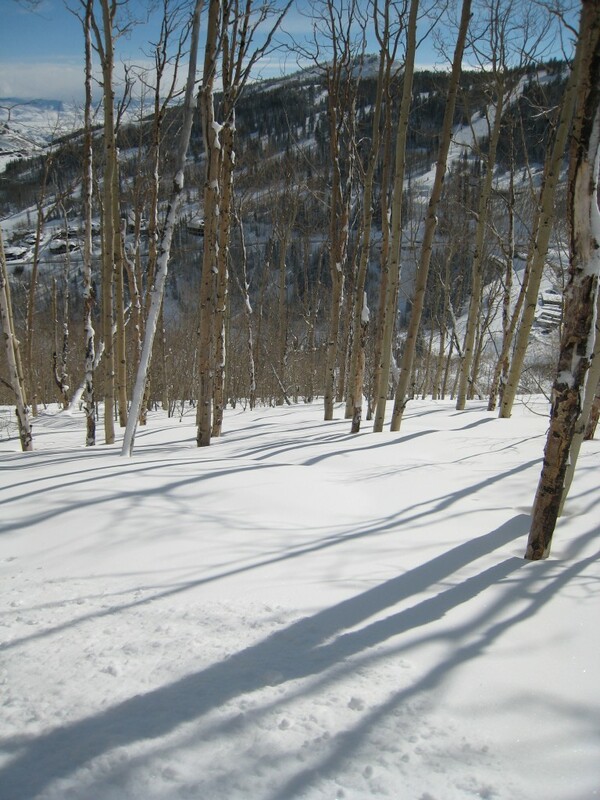 Deer Valley is planning more expansion on the back side of the Mayflower lift in the next few years, so after they do that we will definitely want to go back and check it out. For us though, it’s a tough sell at this point because we usually have a Vail pass which gives us free access to Park City/The Canyons, and when we are in Park City we also like to ski Snowbird/Alta or Snowbasin, so we end up running out of time before we get to it. For the right person this place is paradise though!